Instead of meeting friends for Crafty Tuesday, I had to deal with car and RV service issues with my husband. I won't bore you with the details and mishaps, but in between some of the stops I managed to make a few detours. My first detour was to The Glass Knife for coffee and breakfast. I should have taken a photo of the display of sweets and pastries so you could REALLY understand how good I was by ordering rolled oats and granola. A detour to the fabric store is the best kind of detour. The best detour of the day was to the Bernina Sewing Centre, a great local quilt shop. Since they aren't close to me I don't get there as often as I'd like, so today I took advantage of being in their area. Pictured above are the fabrics that jumped in my cart. Most were purchased with a particular project in mind. Anyone else see "appliqué here" ? Instagram provided a nice detour (distraction) while waiting today. I tend to avoid swaps, but I signed up for this one today. These Tell Me a Story blocks are so fun to make I couldn't resist! Details can be found here if you are interested. 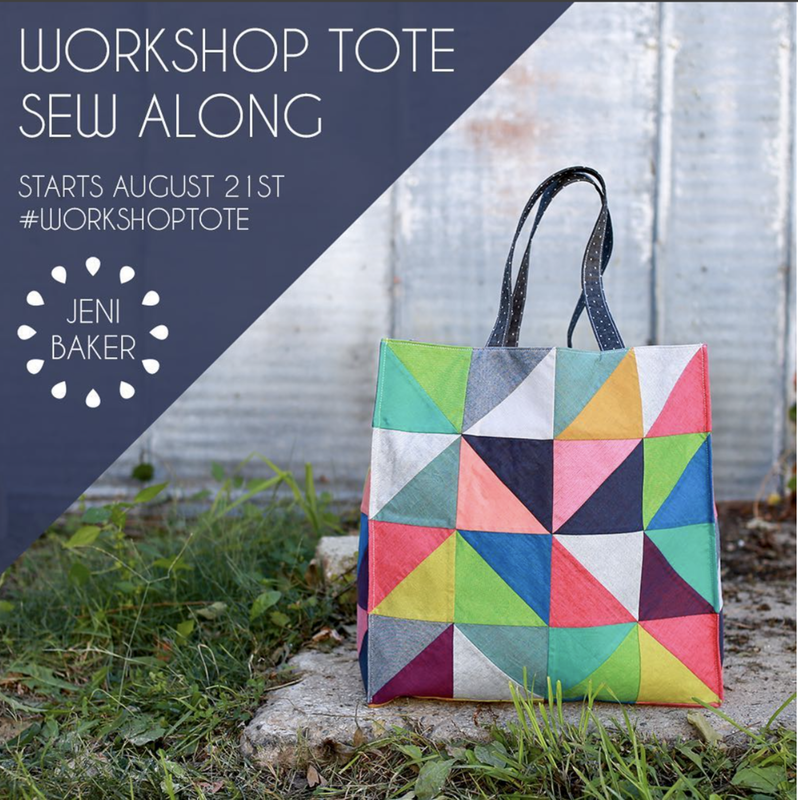 I am considering joining in Jeni Baker's workshop tote sew along, but I am concerned the pattern may be above my skill level. Anyone made this tote before and have input? Some EPP stitching happened today but I don't have photographic evidence ;-) What was your Tuesday like? Thanks for stopping by!